Still lots of great salmon fishing reports from Sooke's waters. 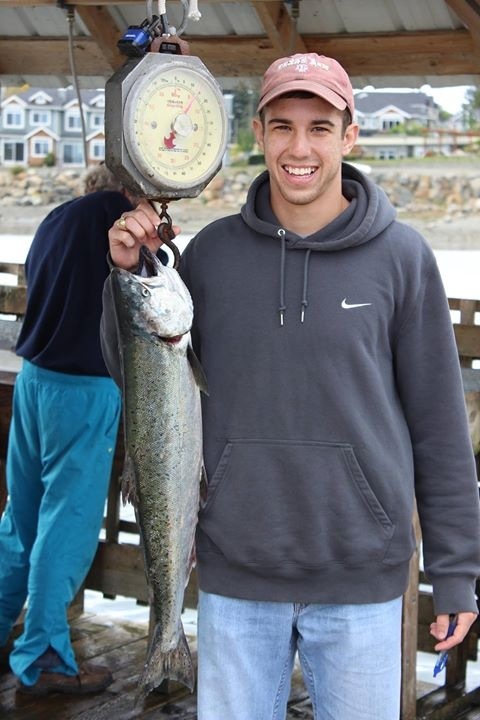 There are chinook/spring salmon caught up into the 30 pound range, plus coho salmon and pink salmon. Luke from VIPFishing.ca had a good day: "Just came back from Otter Point with Curtis, his father, and Adam from Yellowknife, Ontario, and Campbell River. They said it was the best fishing trip they have ever had. We fished the high tide around 4 pm for only 3 hours with non-stop action. We got two 30lbs and the rest between 15 and 25 lbs -- plus one pink and one coho. Wow, what a blast, fishing with these experienced guys!"